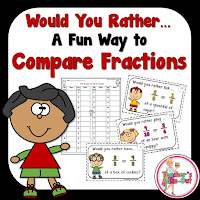 The next time you teach comparing fractions, try this fun activity! Before I begin my comparing fraction lesson, I write these two fractions on the board: 3/4 and 5/8. I ask the students, "Would you rather have 3/4 of a cake or 5/8 of a cake?" The students always choose 5/8 because they think that is the bigger fraction. That's when I take out the fraction pieces and remind students how to read a fraction. I show the students how to make 3 of the 4 pieces and 5 of the 8 pieces and compare them. Students soon discover that 3/4 is the bigger fraction. Once students have a good understanding comparing fractions I break out the "Would You Rather...Fractions" task cards. 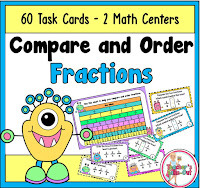 These task cards will make your class giggle or squirm but most importantly they will have some fun while comparing fractions! There are 48 task cards included to get students thinking about fractions and what they would rather have more or less of. For example, task card 1 reads, “Would you rather have 2/3 of a box of cookies or would you rather have 4/5 of a box of cookies?” Students would want more of the box of cookies so they would choose the larger fraction. Another task card question reads, "Would you rather stick your arm 3/10 of the way in an alligator's mouth or would you rather stick your arm 2/5 of the way in an alligator's mouth?" Students would want less of their arm in an alligator's mouth so they would choose the smaller fraction. This pack comes with recording sheets if you want to place them at a math center to continue the fun. 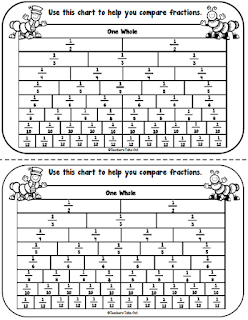 It also comes with a comparison fraction chart to help students compare fractions especially if you do not have fraction pieces for students. These task cards are perfect for 3rd - 5th graders. You can also find these task cards at a discounted price right here on my blog. Just click the button below. Here is another comparing fraction resource. This one has a fun monster theme and includes 2 math centers. One center for comparing fractions and one center for ordering fractions. 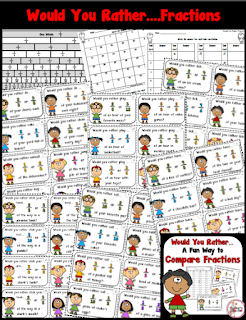 This resource will have your students becoming pros at comparing and ordering fractions. 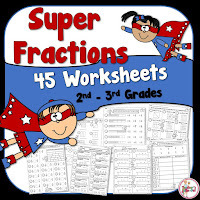 I also created a pack of 45 worksheets all about fractions. I've added the super kids clip art to engage students with the super fraction theme. The worksheets are perfect for 2nd and 3rd grade concepts. If you need to enhance your fraction unit, try these super worksheets. Click here to find more fraction resources from Teacher's Take-Out. 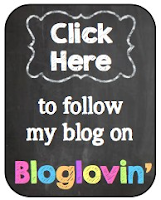 Here is an old blog post about another fun idea to use with fractions.